Caroline Stockford acted as editor of the story by using Sioned Davies’s English translation and translating it orally, line by line into Turkish so that Salih could check that he had captured the right meaning. They worked together on this text for four days and consulted Simon Rodway, lecturer in Medieval Welsh and Irish at the Welsh Department of Aberystwyth University. Words we paid particular attention to or struggled with are listed at the end of this report as a translator and editor’s note. An associate of Salih had written this story down as it was told to him by an old lady in a village near Mardin, Turkey. Caroline and Salih worked through the text using Turkish as a bridge language and Caroline corrected any problems or errors. Salih is keen to go and collect as many folk stories from older members of village communities and WPC could consider supporting this project in a small way financially and also by securing a good mobile recording device so that Salih can record, transcribe and then translate the stories. Caroline and Salih co-translated Hedd Wyn’s poem ‘Y Blotyn Du’ into Kurdish after seeing an exhbition about him at the NLW. Salih spoke to a group of pupils at the school and they were very intersted and engaged and said that they had not known of the existence of the Kurdish language or of Kurdistan or of the political problems being experienced in Turkey. Salih reminded them of the value of being able to freely read, write and speak in your own language. Salih’s visit coincided with the Mabinogi story telling festival organised by Peter Stevenson at the Arts Centre in Aberystwyth (and other venues). Salih and Caroline attended the launch and Salih was very impressed by the lively group of story tellers and said he wished to encourage younger people to continue the tradition in his home city. Salih and Caroline attended three days of the story telling festival and made some great contacts for future working on the stories of the Mabinogi. Salih spoke to a large group of students who had come to the talk for different reasons. Some were part of a reading group that had just finished Orwell’s ‘1984’ and discussed the book with Salih, who has translated it into Kurdish. Students asked questions and Salih spoke at length about translation and the historical and political occurences in the Turkish part of Kurdistan. Caroline and Salih visited the Drop In Centre run by volunteers, including Tom Cheeseman of WPC and Salih spoke to Kurdish and Farsi speaking refugees who had gathered there to share a meal and to learn language and craft skills and to socialise. The centre was busy and vibrant and Salih said that he enjoyed the visit, even though it brought back some sad memories of his time as a refugee for seven years in Sweden when he found it hard to be accepted by the local population. Caroline and Salih met with Filiz and Jenni of WPC and all attended a meal at a Turkish restaurant at which Salih sang Kurdish folk songs and made new contacts. Filiz was extremely hospitable and went to a lot of trouble to help Salih, including proposing that he attend a Kurdish dialect project launch at Manchester University and hosting him afterwards in Swansea. Salih and Caroline attended the Free Word Centre launch of Iraqui Kurdish author Bahtiyar Ali’s book ‘I saw into the Night of the City’ chaired by Alexandra Büchler. They then attended the London Book Fair where Caroline took Salih to the Literary Translation Centre and to the English PEN area where they listened to talks on literary translation. Salih left the Book Fair to go to Manchester and was to spend some days in London before returning home. Salih and Caroline spoke to Radio Wales and Radio Cymru about their project and S4C filmed Salih’s visit to Ysgol Penweddig. Links to article in the press and Aberystwyth University’s press release. WPC would like to thank their partner organisation in the visit, Literature Across Frontiers and the Mercator Institute for their oranganisational support and for Elin Hâf Grufudd Jones’ great networking and Sian Clement’s effective management and to Alexandra Büchler for all her support and encouragement. On Mother Language Day, 21 February 2018 , on behalf of Wales PEN Cymru we wish to support the rights of Kurdish people to use and and promote their own language and culture. We also wish to condemn the sustained repression of Kurdish language and culture in Turkey as we witness the crackdown on free speech and self expression. We understand as Welsh members of PEN the way repression of language and identity can be detrimental to the wellbeing of a people. Unlike the present situation in Turkey, the Welsh language which was once banned in schools and in the public domain, gained equal status to English due to the peaceful , non-violent campaigns of the sixties and seventies. We believe that linguistic rights should be the basic human right of all people, worldwide. We find it unacceptable that the repression of the Kurdish population has intensified in the last few years. Furthermore, we wish to highlight the targeting of writers, the 50 journalists of Kurdish (or pro- Kurdish outlets) who are currently in prison . 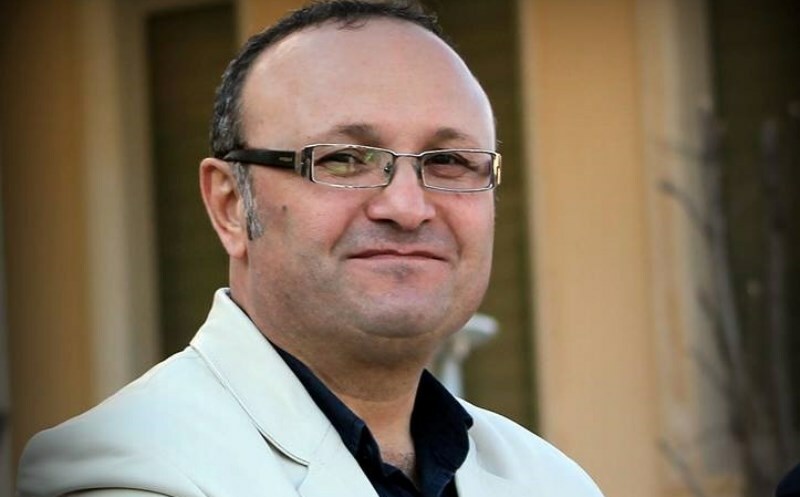 It is totally unacceptable that the acclaimed reporter and editor Nedim Türfent has received such a long prison sentence for reporting the situation between the Turkish army and the PKK. Another example which conveys the extremity of the present authorities in Turkey is the imprisonment of Zehra Doğan, the much celebrated journalist, painter and poet. We therefore demand the immediate release of Nedim Türfent and Zehra Doğan and others who are imprisoned solely for having exercised their right to freedom of expression. We wish to call for an end to the repression of the Kurdish culture and heritage and instead urge the powers that be recognise the Kurdish language and linguistic rights of its people. The first step should surely be to permit the reopening of Kurdish language media outlets. The aim of Wales PEN Cymru, as that of other PEN organisations is to see the end to persecution of all those who peacefully strive for the wellbeing of all people. In this instance, all those who call for peace in the conflict between the Turkish authorities and the Kurdish population, both within and outside of Turkey, should be respected and those unjustly imprisoned should be released immediately. Ar ‘Ddiwrnod Mam-iaith’, 21 o Chwefror 2018, ar ran Wales PEN Cymru, hoffem gefnogi hawl y Cwrdiaid i ddefnyddio a hyrwyddo defnydd o’u hiaith a’u diwylliant. Dymunwn hefyd gondemnio yr hyn a ystyriwn fel gormes ar yr iaith a’r diwylliant Cwrdaidd. Gresynwn at y mesurau creulon i wahardd hunan fynegiant . Deallwn fel cenedl Gymreig y ffordd y gall gwasgfa ar iaith a hunaniaeth fod yn andwyol i hunan les y bobl. Yn wahanol i Dwrci, mae’r iaith Gymraeg, a oedd unwaith wedi ei gwahardd mewn ysgolion ac mewn sefydliadau cyhoeddus, yn awr wedi ennill hawliau o ganlyniad i ymgyrchu heddychlon di-drais yn y chwedegau a’r saithdegau. Credwn y dylai hawliau ieithyddol fod yn hawl sylfaenol i bob dinesydd ym mhob ran o’r byd. Ystyriwn hi’n annerbyniol i ormesu y boblogaeth Gwrdaidd a’r ffordd y mae hynny wedi cynyddu yn ystod y blynyddoedd diwethaf. Yn ychwanegol at hyn, dymunwn danlinellu y targedu annheg sydd ar awduron gyda 50 a mwy o newyddiadurwyr o dras Gwrdaidd wedi eu carcharu ar hyn o bryd. Mae’n annerbyniol hefyd bod newyddiadurwr a golygydd nodedig fel Nedim Türfent wedi derbyn dedfryd hir o garchar am wneud dim byd mwy nac adrodd ar y sefyllfa rhwng y fyddin Twrcaidd a’r PKK. Enghraifft arall sy’n cyfleu eithafrwydd awdurdodau presennol Twrci yw carcharu Zehra Doğan, y newyddiadurwraig, bardd ac artist. Dymunwn alw felly arnoch i ryddhau ar unwaith y ddau yma ac eraill sydd wedi eu carcharu ar gam am wneud dim byd mwy nag arfer yr hawl i hunan-fynegiant. Galwn hefyd am roi terfyn ar ormesu diwylliant y Cwrdiaid a’r rhai o linach Gwrdaidd ac yn lle hynny, credwn y dylid hyrwyddo ‘r iaith a hawliau ieithyddol ei dinasyddion. Y cam cyntaf tuag at wneud hynny fyddai i ganiatáu ail agor cyfryngau’r iaith Gwrdaidd. Nod Wales PEN Cymru , fel sefydliadau eraill PEN yw gweld diwedd ar erlidigaeth y rhai sy’n ymdrechu mewn modd heddychlon a di-drais dros hunan les pobloedd. Yn hyn o beth, dylai’r rhai sydd yn galw am heddwch rhag y gwrthdaro sy’n bodoli rhwng yr awdurdodau Twrcaidd a’r boblogaeth Gwrdaidd , y tu mewn a thu allan i Dwrci, gael eu parchu a’r rhai sydd yn y carchar ar hyn o bryd – eu rhyddhau ar unwaith. 21 February 2018 – On Mother Language Day, PEN International wishes to highlight the sustained repression of Kurdish culture and language in Turkey, the impact of which is becoming ever more harrowing. Kurdish and pro-Kurdish journalists and media outlets have been among the principal victims of the crackdown on free speech that followed the attempted coup of July 2016. Most pro-Kurdish and Kurdish-language media outlets have now been closed down. Since 1 January 2017, pursuant to a decision by the Turkish Press and Advertisement Council, ‘all font and text except advertisement on any print press must be in Turkish’. At least 50 journalists of Kurdish or pro-Kurdish outlets languish in prison. In a prominent example reporter and editor Nedim Türfent, who was covering clashes between the Turkish army and the PKK, was arrested and charged with ‘membership of a terrorist organisation’ and ‘making terrorist propaganda’ on account of his reporting and social media posts. During pre-trial detention, he was held in solitary confinement for over a year, and although 20 of 21 witnesses who appeared in court claimed that they gave evidence after having been tortured by the police, he was found guilty and sentenced to 8 years and 9 months’ imprisonment in December 2017. In another example, in March 2017 journalist, painter and poet Zehra Doğan was convicted of ‘propagandising for a terrorist organisation’ for her work as a painter and journalist. She is currently serving a sentence of 2 years, 9 months and 22 days. The criminal charges against her relate to a painting; in which she recreated a photograph by the Turkish military taken during the five-month curfew imposed on the town Nusaybin, a newspaper article in which she reported on the fighting between the Turkish army and the PKK in Nusaybin, and her social media activity. Since the founding of the Turkish republic in 1923, which enshrined a mono-cultural national identity, the country’s large Kurdish minority has often been banned from expressing its culture or from speaking the Kurdish language. Towards the end of the previous decade, President Erdogan loosened some of these restrictions, but the repression of the Kurdish population has come back in full force since the breakdown of the peace process between the Turkish authorities and the Kurdistan Workers’ Party (PKK) in July 2015. Renewed violence after the end of the ceasefire has seen thousands killed and wounded. Scores of historical sites and buildings have moreover been destroyed. The Sur district in Diyarbakir, a UNESCO World Heritage Site, has been the site of some of the fiercest fighting and entire neighbourhoods have been demolished. Some government-appointed authorities, who have partially replaced democratically elected mayors and officials in Kurdish-majority municipalities, have taken down cultural monuments throughout the region. For instance, in the city of Bazid the statue of the prominent classic Kurdish writer Ehmedê Xanî was removed. Meanwhile, the Turkish authorities have taken to persecuting those who call for peace. For instance, criminal proceedings have been instituted against Academics for Peace, a diverse group who signed a declaration calling for peace in Turkey’s south-east in January 2016, and who are facing terrorism-related charges as a consequence. Recently, after the central council of the Turkish Medical Association issued a short statement to express its opposition to the on-going military operations by the Turkish army in a Kurdish-majority area in northern Syria, senior council members were arrested and accused of propagandising for terrorist organisations. Calling for an end to the persecution of those who call for peace in the conflict between the Turkish authorities and the Kurdish population both within and outside of Turkey. Suggested tweet: On #IMLD2018 call on #Turkey to end the repression of #Kurdish language & culture @pen_int (add link to action paper). A Kurdish poet and translator is at Aberystwyth University this week (6-10 March 2017) where he is translating some of the tales of the Mabinogi into Kurmanji, the Kurdish language used in Turkey. Salih Agir Qoserî is working with Caroline Stockford, an Aberystwyth-based translator of Turkish poetry and literature who will in turn be working on English-language texts of Kurdish folk tales. Funded by the Arts Council of Wales and the Creative Europe Programme of the European Union, the residency is organised by Wales PEN Cymru and Literature Across Frontiers (LAF) – European Platform for Literary Exchange and Translation based in the Mercator Institute at Aberystwyth University and leader of the Literary Europe Live initiative. During his residency, Salih Agir Qoserî will visit Ysgol Gyfun Penweddig school in Aberystwyth and Bishop Vaughan school in Morriston, Swansea. The Director of Literature Across Frontiers, Alexandra Büchler, said: “One of our primary aims is to make minority language writing more visible so we are very pleased to have been able to arrange this visit to Wales and to celebrate the richness of the Kurdish literary scene in Turkey”. At the end of the residency, Salih Agir Qoserî and Caroline Stockford will have the opportunity to attend the London Book Fair – the leading event for the international publishing industry where Literature Across Frontiers co-organises the highly successful Literary Translation Centre and its three-day programme of seminars. Mae bardd a chyfieithydd Cwrdaidd ym Mhrifysgol Aberystwyth yr wythnos hon (6-10 Mawrth 2017) i gyfieithu rhai o chwedlau’r Mabinogi i Kurmandji, iaith Gwrdeg sy’n cael ei defnyddio yn Nhwrci. Mae Salih Agir Qoserî yn gweithio gyda Caroline Stockford, cyfieithydd barddoniaeth a llenyddiaeth Dwrcaidd sy’n gweithio yn Aberystwyth. Fe fydd hi yn ei thro yn gweithio ar destunau Saesneg eu hiaith o chwedlau Cwrdeg. Wedi’i ariannu gan Gyngor Celfyddydau Cymru a Rhaglen Ewrop Greadigol yr Undeb Ewropeaidd, trefnwyd y cyfnod preswyl gan PEN Cymru a Llenyddiaeth Ar Draws Ffiniau (LAF) – llwyfan Ewropeaidd ar gyfer cyfnewid llenyddiaeth a chyfieithu sy’n rhan o Sefydliad Mercator ym Mhrifysgol Aberystwyth ac sy’n arwain menter Ewrop Lenyddol Fyw. Yn ystod ei gyfnod preswyl, bydd Salih Agir Qoserî yn ymweld ag Ysgol Gyfun Penweddig yn Aberystwyth ac ysgol Bishop Vaughan yn Nhreforys, Abertawe. Ar ddiwedd ei gyfnod preswyl, bydd Salih Agir Qoserî a Caroline Stockford yn cael cyfle i fynychu Ffair Lyfrau Llundain – un o brif ddigwyddiadau yng nghalendr y diwydiant cyhoeddi rhyngwladol. Llenyddiaeth Ar Draws Ffiniau sy’n cyd-drefnu Canolfan Gyfieithu Lenyddol y Ffair Lyfrau a’i rhaglen hynod lwyddiannus o seminarau dros gyfnod o dridiau. Historically, the three Kurdish dialects of Kermanji, Sorani and Zaza spoken in Turkey have undergone extreme linguistic oppression on the part of the state. Despite agreeing in the Treaty of Lausanne in 1923 that ‘non-Turks’ in Turkey would be permitted to use their languages, the state reneged on their agreement and banned the teaching of Kurdish and its public use. The period since 1990 has seen limited improvement. It has recently become possible to teach Kurdish as an elective subject in all schools. Great authors such as Mehmed Uzun have been translated into German and English and there is now a revival occurring in Kurdish literature and poetry. The Kurdish dialects are in need of international support in their attempt to secure and practice their linguistic rights. Working across continent, PEN Wales Cymru will develop the project into annual school-to-school contact engaging in creative writing and translation, setting up contact between two Welsh medium and two English medium secondary schools in Wales with four secondary schools where Kurdish is being taught. In this way they will raise the profile of both the Welsh and Kurdish language and facilitate the sharing of folk stories from both countries. Yn hanesyddol, mae’r dair tafodiaith a siaredir yn Nhwrci – Kermanji, Sorani a Zaza, wedi dioddef gorthrwm ieithyddol eithafol o du’r wladwriaeth. Er gwaethaf y cydsyniad dan Gytundeb Lausanne 1923 fod hawl i’r bobl hynny oedd yn byw yn Nhwrci, nad oeddent o dras Dyrcaidd, i siarad eu hieithoedd eu hunain, aeth y wladwriaeth yn ôl ar ei air a gwaharddwyd dysgu Cwrdeg a’i defnyddio’n gyhoeddus. Cyfyngedig fu unrhyw welliant yn ystod y cyfnod ers 1990. Yn ddiweddar iawn daeth yn bosibl i’r Gwrdeg gael ei dysgu fel pwnc dewisol ym mhob ysgol. Cyfieithwyd gwaith awduron mawr fel Mehmed Uzun i’r Almaeneg a’r Saesneg a bellach gwelir adfywiad mewn llenyddiaeth a barddoniaeth Gwrdaidd. Mae’r tafodieithoedd Cwrdaidd wir angen cefnogaeth rhyngwladol yn yr ymdrech i sicrhau ac ymarfer eu hawliau ieithyddol. Bwriada Wales PEN Cymru gydweithio hefo PEN Cwrdistan a PEN Twrci i fanteisio ar y cyfle hwn i gefnogi hawliau ieithyddol Cwrdaidd trwy gynnal prosiect ysgrifennu creadigol a chyfieithu mewn ysgolion detholedig yn Nwyrain Twrci. Bydd y prosiect yn canolbwyntio ar gyfres o weithdai ysgrifennu creadigol a chyfieithu yn seiliedig ar chwedlau gwerin ar lafar ar yr un patrwm ag sydd eisoes wedi’i ddefnyddio mewn ysgolion yng Nghymru. Bydd y Ganolfan yn amlygu hawliau ieithyddol y tafodieithoedd Cwrdaidd trwy gyfieithiadau a rhannu’r chwedlau traddodiadol hyn a’u hailadrodd i gyfleu pwysigrwydd rhyddid mynegiant. Trwy weithio’n draws-gyfandirol bydd Wales PEN Cymru’n datblygu’r prosiect i fod yn gyswllt blynyddol o ysgol i ysgol yn ymrwymedig i ysgrifennu creadigol a chyfieithu gan sefydlu cyswllt cydrhwng dwy ysgol uwchradd cyfrwng Cymraeg a dwy ysgol uwchradd cyfrwng Saesneg yng Nghymru a phedair o ysgolion uwchradd lle dysgir y Gwrdeg. Trwy wneud hyn byddant yn codi proffil yr iaith Gymraeg a’r iaith Gwrdaidd a hybu’r broses o rannu chwedlau gwerin y ddwy wlad. As part of Wales PEN Cymru’s Kurdish and Turkish Linguistic Rights Project* we would like to invite one of our members to enter into an exchange of hand-written letters with Turkish poet Haydar Ergülen. Fel rhan o Brosiect Hawliau Ieithyddol Cwrdaidd a Thwrcaidd* Wales PEN Cymru dymunwn i un o’n aelodau gychwyn llythyru gyda Haydar Ergülen. Hoffem i’r llythyrau cyntaf o leiaf fod mewn llawysgrifen. Haydar Ergülen, one of Turkey’s most important contemporary poets, was born in Eskişehir in 1956. He read Sociology at Orta Doğu Teknik Üniversitesi and published his first book of poetry in 1982. In 1996 he won the Behçet Necatigil Prize for Poetry for ’40 poems and One’ and the Halil Kocagöz Prize for Poetry for ‘Once a Tailor’. 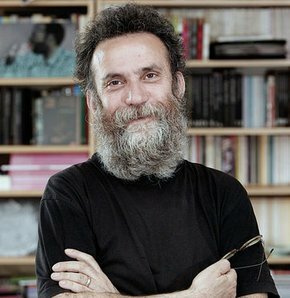 In 1998 he won the Orhon Murat Arıburnu Prize for Poetry (Cahit Külebi Jury’s Special Award) and also the Mediterranean Golden Orange Poetry Prize. The poetry of Haydar Ergülen, who sometimes writes under the pen-name ‘Hafız’, has been published in in the New Poets in Europe Anthology (Wolf Gray Publishing), MPT Magazine (Modern Poetry in Translation – translated by Derek Mattern) and Turkish Poetry Today 2015 (translated by Caroline Stockford) as well as a number of other magazines in different languages. He is the co-director of the successful Eskişehir International Poetry Festival and organises the Salih Ecer Writers in Residence program at Gümüşlük which brings together Francophone and Turkish poets. He is also a member of the Board of Directors of PEN Turkey. He teaches poetry in Istanbul, giving monthly seminars on Major Books in Turkish Poetry and The Life of the Poet for municipality classes. He also teaches at Bahçeşehir and Kadir Has University, lecturing in Turkish Poetry, The Second New Movement, and Turkish Poetry Post-1980. He has performed at poetry festivals in Luxembourg, France, Argentina and India as well as one month’s residency at Letonya Writers in Residence Programme. Cihangir (Monography of a neighbourhood in Istanbul)-2010, Heyamola P.H. Ganed Haydar Ergülen, un o feirdd cyfoes amlycaf Twrci, yn Eskişehir yn 1956. Astudiodd Gymdeithaseg yn Mhrifysgol Orta Doğu Teknik Üniversitesi a chyhoeddwyd y casgliad cyntaf o’i gerddi yn 1982. Yn 1996 enillodd Wobr Farddoniaeth Behçet Necatigil am ’40 poems and One’ ynghyd â Gwobr Farddoniaeth Halil Kocagöz am ‘Once a Tailor’. Yn 1998 enillodd Wobr Farddoniaeth Orhon Murat Arıburnu (Gwobr Arbennig Rheithgor Cahit Külebi) ac hefyd Wobr Farddoniaeth Mediterranean Golden Orange. Mae barddoniaeth Haydar Ergülen, sydd ambell waith yn ysgrifennu dan y ffugenw ‘Hafız’, wedi’i gyhoeddi yn yr antholeg New Poets in Europe (Cyhoeddwyr Wolf Gray), Cylchgrawn MPT (Modern Poetry in Translation – cyfieithwyd gan Derek Mattern) ynghyd â nifer o gylchgronnau eraill mewn gwahanol ieithoedd. Ef yw cyd-gyfarwyddwr Gŵyl Farddoniaeth Ryngwladol lwyddiannus Eskişehir ac mae’n trefnu rhaglen Ysgrifenwyr Preswyl Salih Ecer yn Gümüşlük sy’n dod â beirdd Ffrangeg a Thyrceg at ei gilydd. Mae hefyd yn aelod o Fwrdd Cyfarwyddwyr PEN Twrci. Mae’n dysgu barddoniaeth yn Istanbul, gan roi seminarau misol i ddosbarthiadau bwrdeistrefol ar Major Books in Turkish Poetry a The Life of the Poet. Mae hefyd yn dysgu yn Bahçeşehir a Phrifysgol Kadir Has, yn darlithio ar Farddoniaeth Dwrcaidd, The Second New Movement a Turkish Poetry Post-1980. Mae wedi perfformio mewn gwyliau barddoniaeth yn Lwcsembwrg, Ffrainc, Yr Ariannin a’r India yn ogystal ag ymgymryd â mis o breswyliad ar raglen Ysgrifenwyr Preswyl Letonya. Literary translation is an art of passion. Promoting values of openness, acting for peace and freedom against injustice, intolerance and censorship, translation invites a dialogue with the world. All cultures are not equal when it comes to translation. Some cultures translate by choice, others by obligation. Translation is a key to the protection of language and cultures. Respectful of authors and original texts, translators are nevertheless creators in their own right. They seek not only to reproduce a literary work but to move the work forward, to expand its presence in the world. Translators are not simply messengers:though they speak for others, their voices are also their own. In particular, they act in favour of cultural diversity by remaining loyal to marginalized authors, literary styles and social groups. The rights of translators must be protected. Governments, publishers, the media, employers- all must respect the status and needs of translators, give prominence to their names, and ensure equitable remuneration and respectful working conditions – in all forms of print and digital media. PEN International Congress, October 15, 2015. Translated into English by Sherry Simon and into Welsh by Menna Elfyn. Sail y gelfyddyd o gyfieithu llenyddol yw angerdd. Drwy hyrwyddo gwerthoedd o fod yn agored, yn gweithredu dros heddwch a rhyddid yn erbyn pob anghyfiawnder, anoddefgarwch a sensoriaeth,mae cyfieithu yn wahoddiad i gynnal deialog â’r byd. Nid yw pob diwylliant yn gyfartal pan ddaw’n fater o gyfieithu. Bydd rhai diwylliannau yn cyfieithu o ddewis, eraill o deimlad o reidrwydd. Cyfieithu yw’r allwedd i amddiffyn ieithoedd a diwylliannau. Er parchu yr awduron a’r testunau gwreiddiol, bydd y cyfieithwyr hefyd yn greawdwyr.Ceisiant nid yn unig i atgynhyrchu gwaith llenyddol ond i symud y gwaith hwnnw yn ei flaen, i ehangu ei bresenoldeb yn y byd. Nid negeseuwyr yn unig mo cyfieithwyr: er iddynt siarad dros eraill, mae ganddynt eu lleisiau eu hunain hefyd. Yn benodol,gweithredant o blaid amrywiaeth diwylliannol gan gadw’n deyrngar i’r awduron ymyledig, arddulliau llenyddol a grwpiau cymdeithasol. Rhaid amddiffyn hawliau’r cyfieithwyr. Rhaid i lywodraethau, cyhoeddwyr, y cyfryngau, cyflogwyr oll –barchu statws ac anghenion cyfieithwyr , rhoi amlygrwydd i’w henwau, a sicrhau tâl sy’n deg gydag amodau gweithiol sy’n rhoddi parch – ymhob dull o argraffu, a’r cyfryngau digidol. Rhaid gwarantu diogelwch corfforol a rhyddid mynegiant cyfieithwyr bob amser. Fel ysgrifenwyr creadigol gyda gwybodaeth a sgiliau penodol, rhaid dangos parch tuag atynt ac ymgynghori â hwy ar y cwestiynau oll sy’n berthnasol i’w gwaith. Mae’r cyfieithiadau yn eiddo i’r sawl sydd wedi eu creu.